Chelsea full back Marcos Alonso has reportedly signed a new deal to remain at Chelsea until 2023. The Spaniard's initial contract was set to expire in 2021. However, his solid displays on the left flank have led to the Blues offering the full back an extension. That is according to ESPN, who report that the Londoners will likely announce the new deal officially on Wednesday. It is also believed that the marauding defender will earn significantly more than he did on his prior agreement. Alonso joined the Blues for £24m from Fiorentina in the summer of 2016, coming in as a relatively low-profile signing. But his impact was immediate and he played an important role in the Blues' march to the Premier League title at the end of the campaign as a wing-back under Antonio Conte. 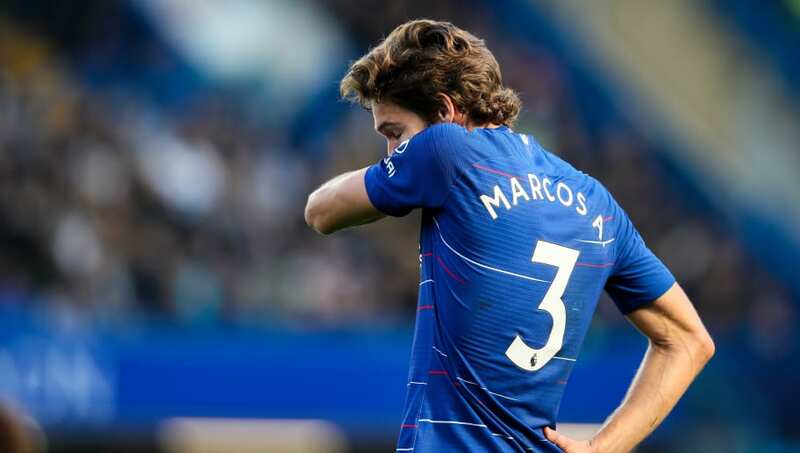 With Chelsea reverting to a back-four at the behest of Maurizio Sarri this season, Alonso is playing in a different position but has seemingly avoided the memo and is an ever-present in the Chelsea attack. Marcos Alonso has signed a new, improved contract with Chelsea until 2023, sources have told @efabascalUK & I. The defender scored seven league goals and provided three assists last season, and is off the mark with a goal and two assists in nine appearances for the Blues so far this term. He was also understood to be a target for several clubs around Europe this season. However, Sarri made it clear that the player was a big part of his plans and, if ESPN are to be believed, the Blues have moved to tie him down for the foreseeable future.